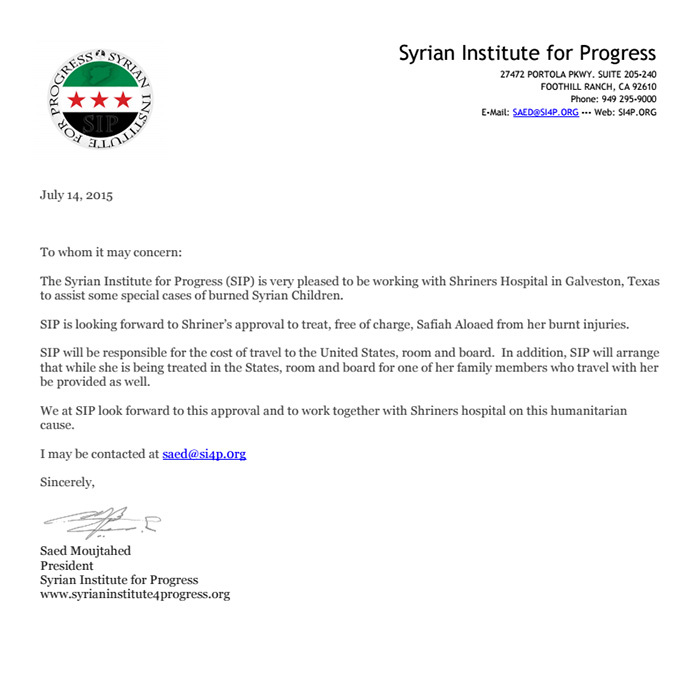 SIP established the Burnt Children Relief Foundation (BCRF), dedicated to healing the wounds of war for Syrian children by providing life-changing surgical care. It has built a relationship with the Shriners Hospital in Galveston, Texas and with its physicians. SIP has been successful in obtaining a US Visa for these children without a passport. BCRF cannot do it without your help. Your donations help children like these and hundreds more. 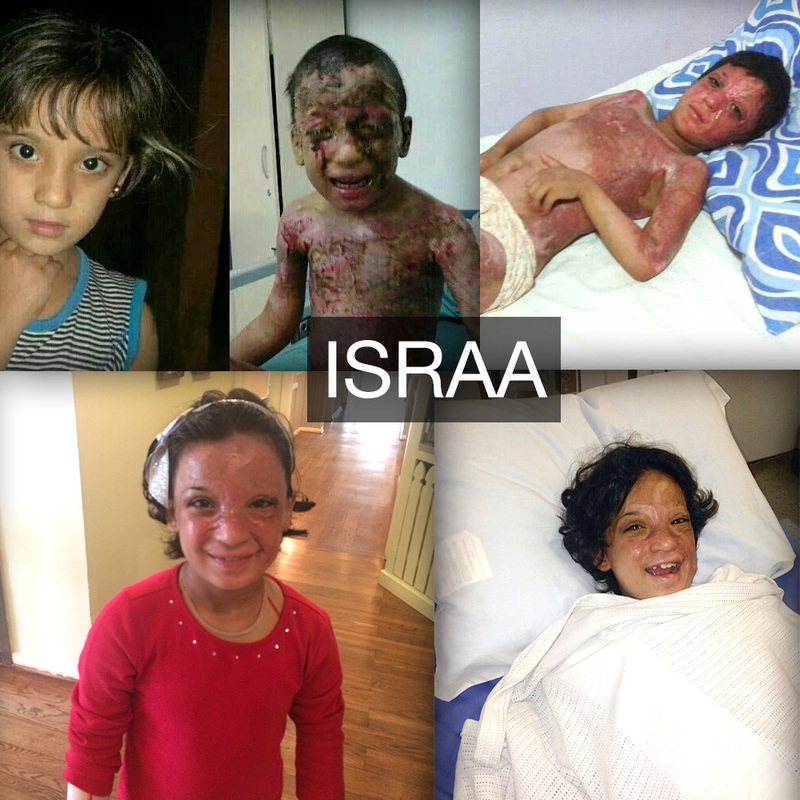 Israa, an 8-year-old Syrian girl, was burnt by a barrel bomb in Deir Al Zour. She arrived to the US in December, 2014. She has already gone through three surgeries and has made remarkable progress. She still has at least three more surgeries to go. 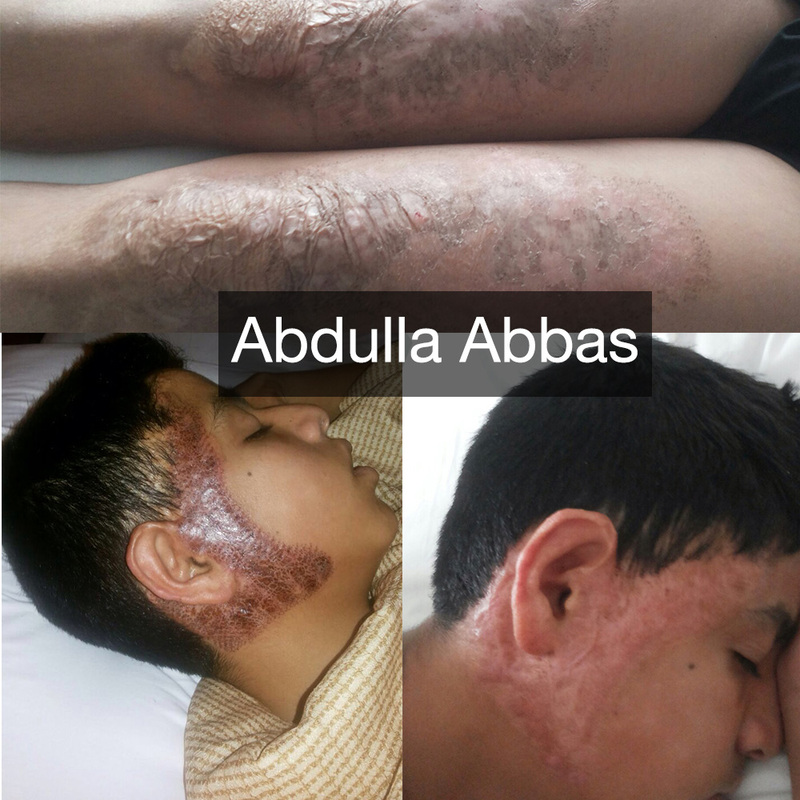 Abdulla, a 13-year-old Syrian boy, was burnt by a barrel bomb in Reif Damascus. He has finished his treatment, and went back home in March, 2015. 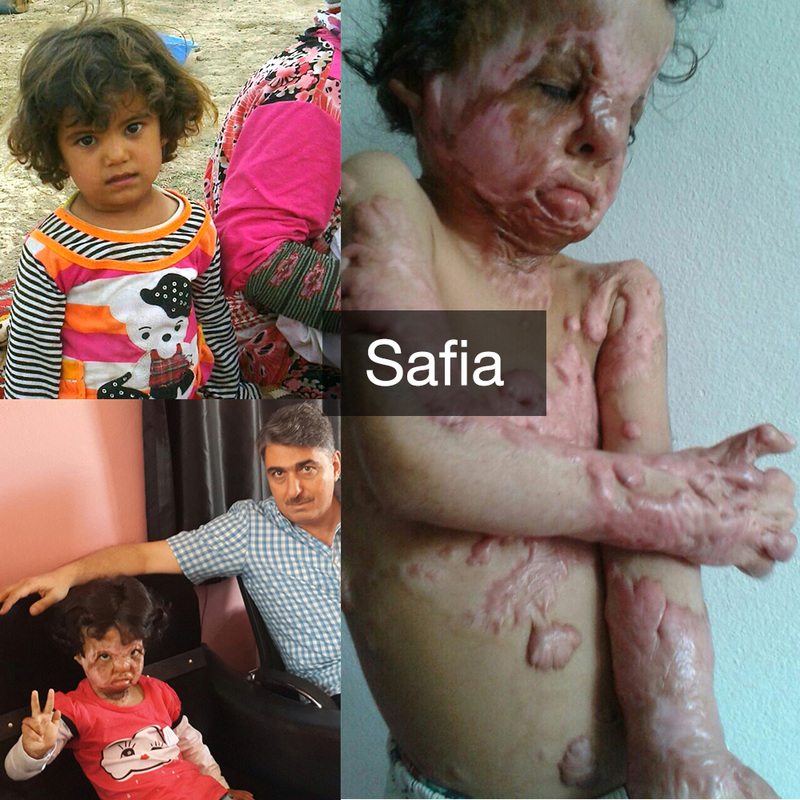 Safia, a 5-year-old Syrian girl, was severely burnt on over 70% of her body. On July 17th we received the approval from the Shriners Hospital for treatment. 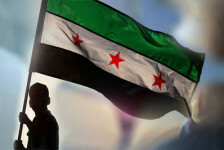 SIP is currently working on her Visa to come to the US for treatment. Yumna, a 10-year-old Syrian girl, was the only survivor out of a family of six, when her house in Daraa was hit by a jet missile. She has had two surgeries so far, and still has two to go.